"Movies make me want to be dead." "Big Mommas: Like Father, Like Son" is a comedy film about an FBI agent and his 17 year-old son who just witnessed a murder. They, then, need to disguise as women to protect Trent (the son) and for Malcolm (the Father) to do his job. Very predictable storyline. Nothing is unique (even to consider it is just a Big Momma installment); the flash drive, men pretended to be women and everything! Not really funny! Humor is lame! 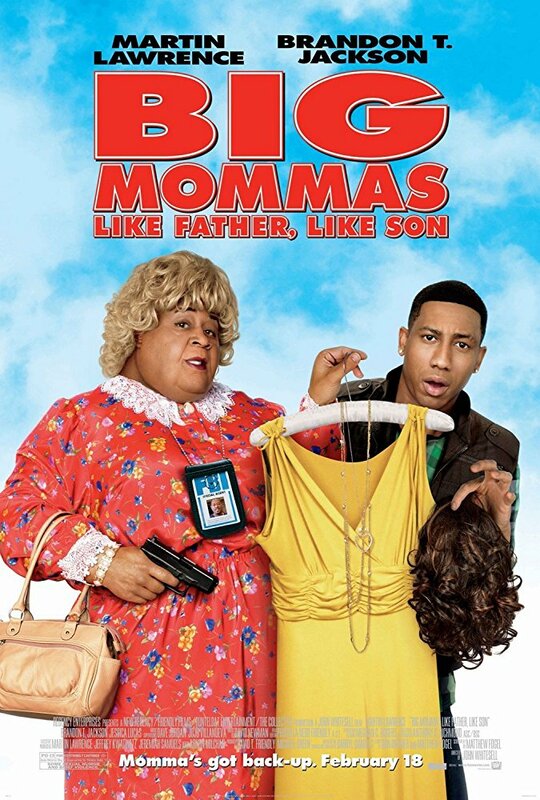 Agent Malcolm (Martin Lawrence) returns in this 3rd installment of the Big Momma franchise, this time with seventeen year old son Trent (Brandon T. Jackson) who is out of high school and wants to pursue a music career. While trying to get his Dad to sign a contract because he is still a minor, Trent witnesses a murder by a Russian bad guy. The pair is forced to go undercover at an all girl�s performing arts school to find a flash drive containing some incriminating evidence that will put some crooks away with Trent taking the guise of singing sensation Charmaine and Malcolm reprising his guise of theunconquerable 'Big Momma.' Meanwhile, Trent is slowly falling in love with one of the girls at the up-scale boarding school, singer- songwriter Haley (Jessica Lucas). No posts have been made on this movie yet. Be the first to start talking about Big Mommas: Like Father, Like Son!